After going through Walt Disney's Hometown Museum I went exploring in Marceline to find some Disney Landmarks. 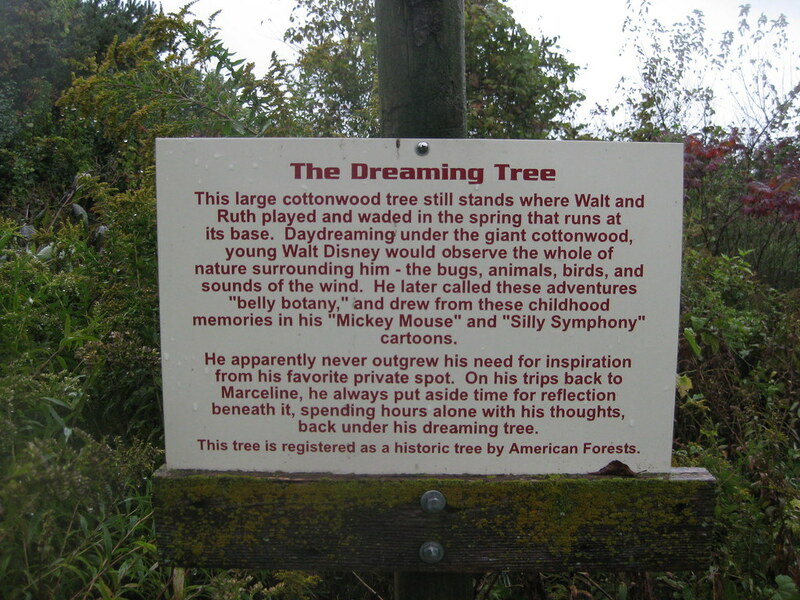 Most importantly Walt Disney's Dreaming Tree. 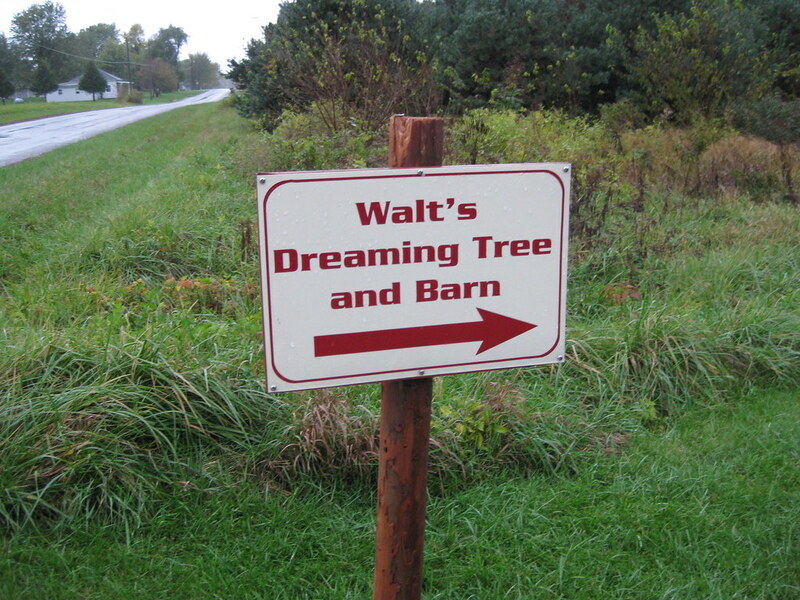 It was a pretty rainy day in Marceline but I knew the odds of being there again anytime soon were slim to none so I walked through the rain and puddles to see the tree that was so important to Walt. 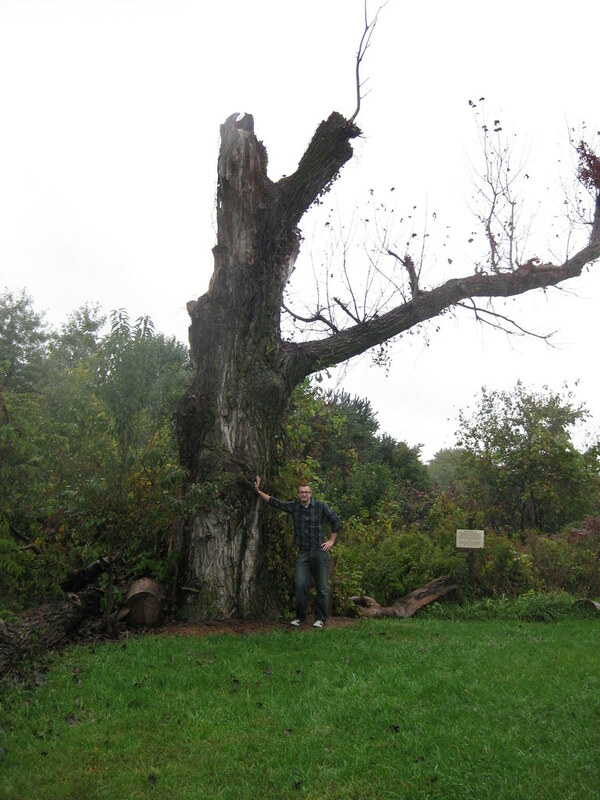 This tree has seen better days, and probably won't be around too much longer so go to Marceline and see it while you still can. Here's a picture of Walt and Roy with the tree on a trip they took to Marceline.